Either Terry M. West is a writing machine, or I’m just behind. 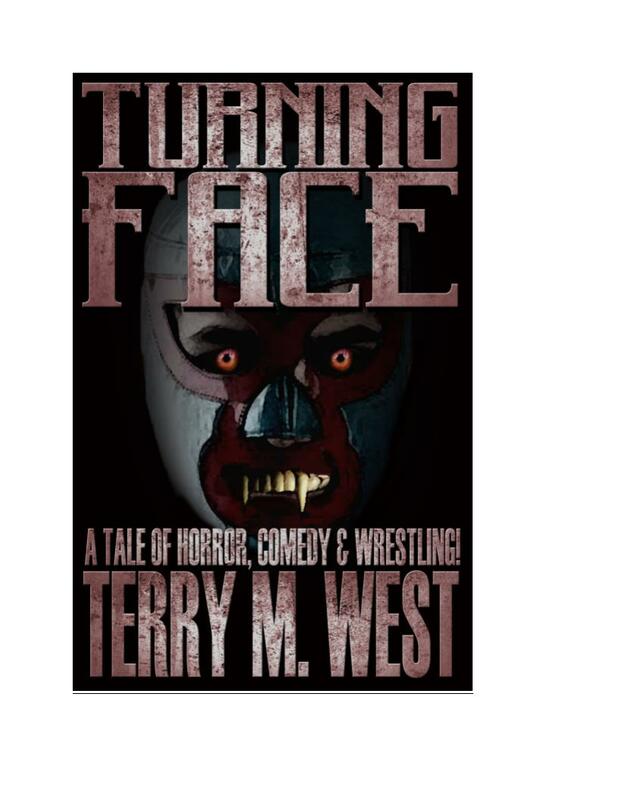 Mr. West is back with yet another; this time fusing two of his favorite things—wrestling and horror—in this horror/comedy novella. But we’re not talkin’ WrestleMania here. This is the indie world of wrestling complete with luchador masks and matches held in high schools and rented halls. The world that West brings in this tale tells of demons living on earth with duties that help fuel Hell. What better way to feed the hate machine than to use the boos of an audience. Main character Tojo Smith is an earth-born demon to parents direct from hell, who has a passion for all things wrestling. While Tojo’s duty on earth is to taint the planet and breed hate, we watch as the world and its inhabitants—in particular the tight-knit federation he’s a part of—bring out the human side to him more than he’d like. Like all of West’s stuff, it’s well written and the prose is tight. The dialogue in particular brings a lot of color to the characters and you’ll find yourself laughing at least a few times. In the early 80s I would partake in the ritual of lying on the living room carpet, with head propped up on my hands as I watched the likes of Junkyard Dog, Big John Studd, and King Kong Bundy. But as I grew older I put wrestling behind me. Reading Turning Face took me back to that living room floor where I longed to watch once again and root for my side with great exuberance. West manages to bring the fever of wrestling to the pages, forcing the reader into a “love-to-hate/hate-to-love” relationship with the characters in and out of the ring, while smiling the whole time. There is no question that those who like the professional wrestling circuit even a little bit—at least at one time—will love this story. And to those who still spill their beer and chips as their favorite nemesis gets thrown over the ropes, this is an absolute must read. Warning: May cause boisterous “Tojo! Tojo!” chanting.